The 91st Academy Awards, also known as the Oscars, were held at the Dolby Theater in Los Angeles, CA on February 24th. With an opener from Queen and landmarks in achievements from African-American and female filmmakers, this night was another memorable installment in the recognition of the hard work in the world of movie-making. Iconic fashion looks grace the red carpet on Oscars night, putting a spotlight on not only the people who wear them, but the designers as well. The Oscars 2019 provided viewers with a wide array of memorable pink-toned looks that either really worked, or didn’t quite get there. 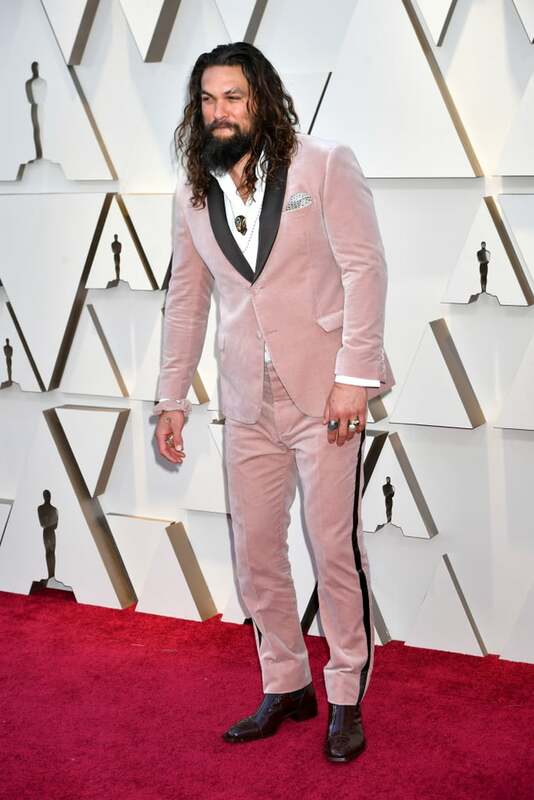 All the way from Hawaii, Jason Momoa sports a classic velvet Fendi look in remembrance of Karl Lagerfeld, the former creative director of Fendi and Chanel who died this past year. In the midst of so many black-and-white tuxes typically seen during awards shows, Momoa brings out a new and fresh take on classic menswear: tailored suits and crisp shirts. Momoa adds his own flair to this soft rosy look with a matching scrunchie on his wrist. Aquaman looked “super” on the red carpet! 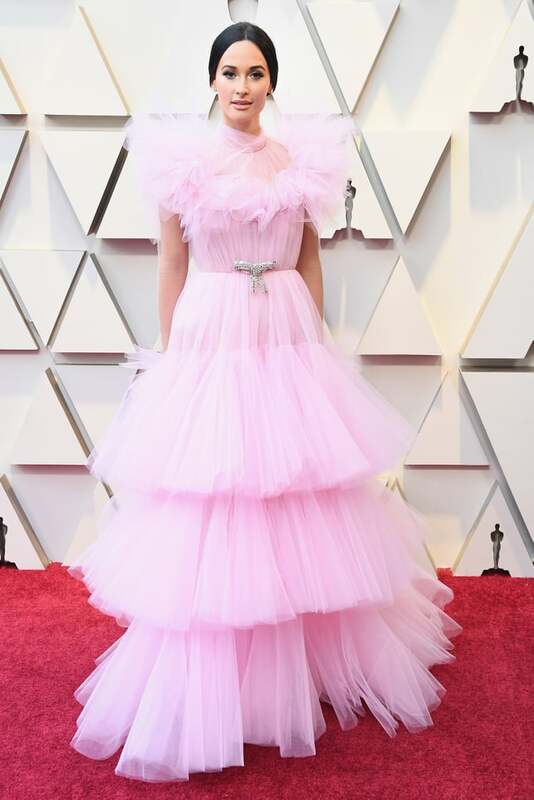 Grammy-winning country singer Kacey Musgraves opted for a pink-tulle explosion look for her presentation role at the Academy Awards, which, according to Popsugar, evokes memories of “Glinda the Good Witch” from the Wizard of Oz. A custom look from Giambattista Valli, this overload of tulle and pink has been talked about by everyone who watched. Albeit gaudy, this gown is memorable and fun, and was in frame for most of the audience shots during the show (along with Brian May’s hair). Going for an out-of-the-box look takes courage, especially when her comfort zone is in a recording studio, not a movie studio. Julia Roberts made a surprise appearance at the Oscars in a blazing pink Elie Saab gown. With tasteful draping and an elegant silhouette, Roberts demonstrates simple and sheer class in her off-the-shoulder look. Possibly harkening back to her beginnings in Steel Magnolias, the pink statement is clear in the iconic wedding scene in the film, and is an inadvertent callback to where she started as an actress. Needless to say, everyone was pleasantly surprised with this look at the 2019 Oscars.